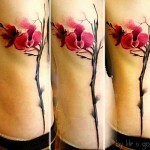 Get A Fancy Tattoo Up Your Sleeve With Swatch! Every now and then, Swatch comes up with a new, interesting collaboration going past the usual timepiece fashion, embracing all kinds of artistic fields. 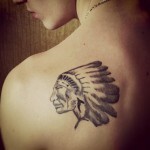 This time, it’s about tattoos. A special collection is ready to launch debut September at Swatch Stores (and online): Swatch & Art. 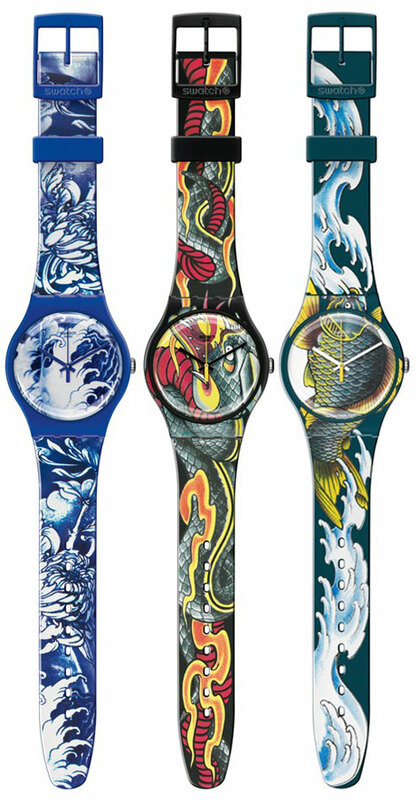 Tattoo artists have imagined special prints just for the Swatch timepieces: Emmanuelle Antille, Tin – Tin worked on five New Gent Swatch watches for the ink loving generation as wwd reported today! But do you think a tattooed watch could match an already tattooed sleeve? Hmm… Maybe it’s for the faint at heart who don’t want to get permanent ink on their skin so they wear it around their wrist instead?